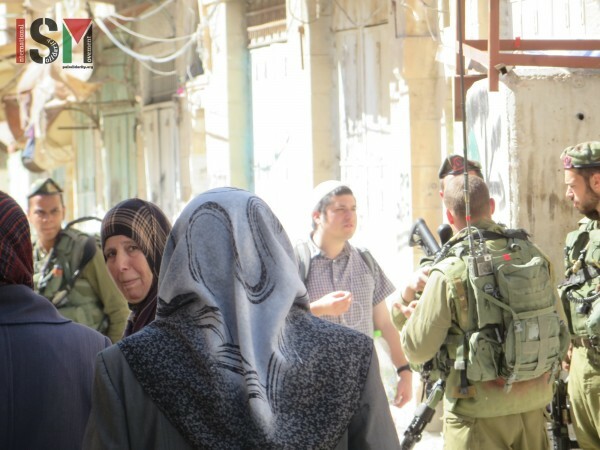 On 19th February 2016, as Palestinians were on their way to the Friday prayer in Ibrahimi Mosque in occupied al-Khalil (Hebron), Israeli forces stopped, delayed, body-searched and harassed them. Like every Friday, Palestinian men, women and children made their way through the haze of checkpoints, turnstiles, past heavily-armed Israeli forces to attend the Friday noon prayer in Ibrahimi Mosque in the Old City of al-Khalil. The Ibrahimi mosque is the third holiest site for Muslims, and has been divided into a part for Muslims and a part where Palestinians are prohibited, and a synagogue was installed. This division took place in the aftermath of the Ibrahimi mosque massacre on 25th February 1994, where extremist settler Baruch Goldstein killed 29 and wounded more than 120 Palestinians when he opened fire at worshippers for the Ramadan Friday noon-prayer. At most of the checkpoints, Palestinians were confronted with hostility by the Israeli forces; stopping, searching and questioning them; making them late for the prayer. As Israeli forces kept locking the turnstile at the checkpoint leading from the Palestinian market – where in the morning, settlers were throwing rocks and glass bottles at Palestinians – to the mosque, long queues of mosque-goers were forming. 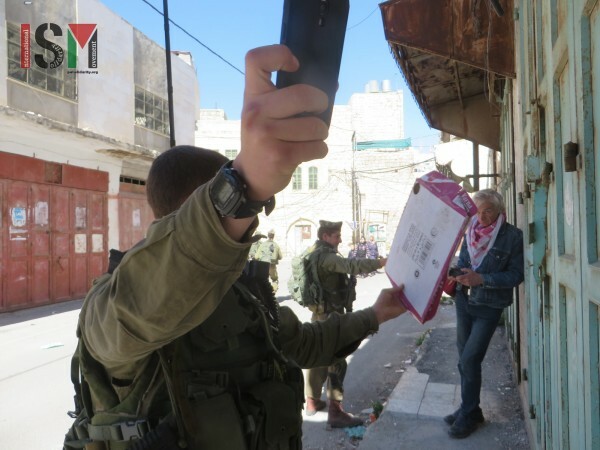 The ‘security checks’ that kept prolonging the wait were then repeated just two meters after the checkpoint, as Palestinians are forced to pass another checkpoint before entering the mosque. Around the corner, close to the Islamic Court, where on 13th February 2016 19-year old Kilzar al-Uweiwi was gunned down by Israeli forces and ultimately died from denial of medical help by the Israeli forces, Israeli forces aggressively body-searched many young Palestinian men and teenagers. Others were forced to lift up shirts and trouser-legs after being yelled at by Israeli forces to stop. International human rights defenders documenting this, were harassed by Israeli forces who tried to block their view, both with their bodies, by standing right in front of them, as well as with pieces of cardboard, all while pushing their own private phones in their faces to film them while insulting them. 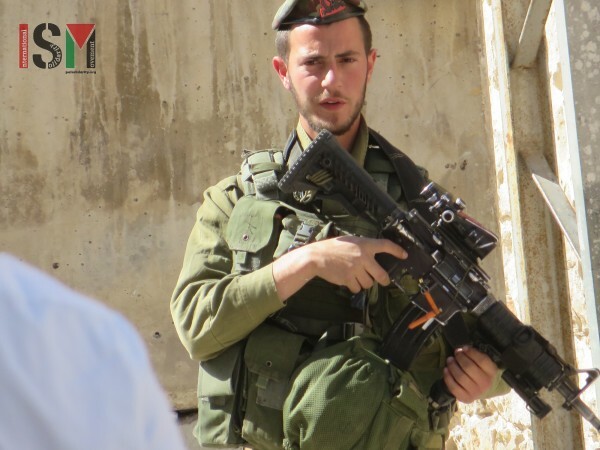 At one point, when Palestinians were on their way home after the noon-prayer – and had already passed two checkpoints up the road, Israeli forces at the court checkpoint ordered everyone to stop, yelling and pointing their guns at them. Israeli forces detained a number of teenage boys on the side of the road, while ‘picking out’ more boys out of the group of people coming from the mosque and ordering them to wait with the others. 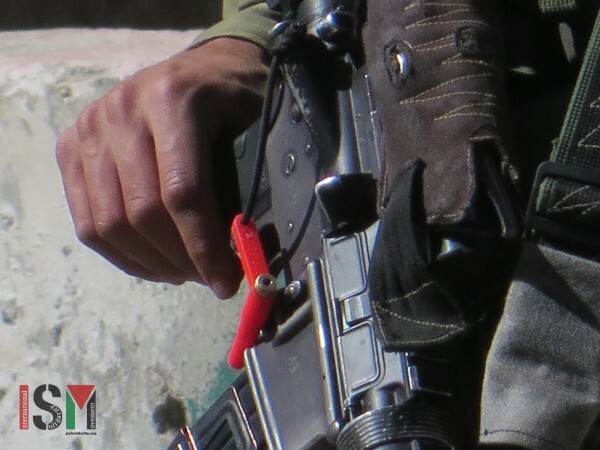 The safety-pin of these soldiers – supposed to prevent accidental fire and intended to be an additional safety – was pulled out, swinging around loosely in the wind.